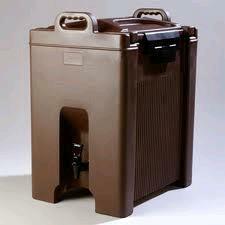 KEEP YOUR COLD DRINKS COLD AND YOUR HOT DRINKS HOT WITH THIS 10 GALLON INSULATED BEVERAGE DISPENSER. GREAT FOR BBQ'S, FAMILY REUNIONS, COMPANY PICNICS, OR LARGE EVENTS OF ANY SORT. * Please call us with any questions about our beverage server 10 gal rental in Baltimore Metro area.